The second round of negotiations between Taiwan's China Airlines and its pilots today will focus on the definition of "reasonable flight time," amid a pilot strike over issues such as overwork, according to the Ministry of Transportation and Communications, which will mediate the talks. 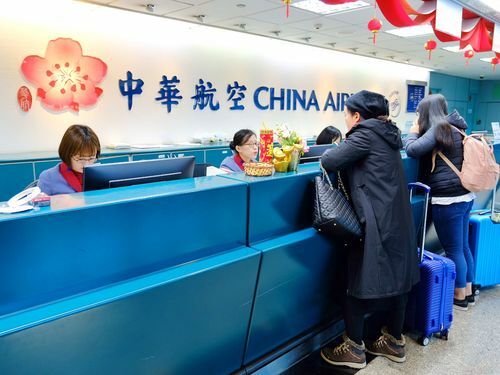 "We are hoping that both sides will reach a consensus on what kinds of flights cause pilot fatigue and perhaps decide on special work hours on a case-by-case basis," said the ministry's deputy Minister wang Kwo-tsai, said, CNA reports. The main contention between CAL and its pilots is over the work hours on regional flights and how many hours constitute "overwork." The pilots are also asking for three instead of two crew members on CAL's regional flights of between seven and 12 hours. CAL, meanwhile, has argued that under the Aircraft Flight Operation Regulations, the global aviation industry standard, it is only obliged to schedule a minimum of two pilots on flights of less than 14 hours. Wang said he hopes the strike will end after the second round of negotiations, which is scheduled for 5:00 p.m. tonday.